Shady Plants - Mail Order Fern Nursery: Actiniopteris radiata Fan Leaf Fern. Actiniopteris radiata Fan Leaf Fern. 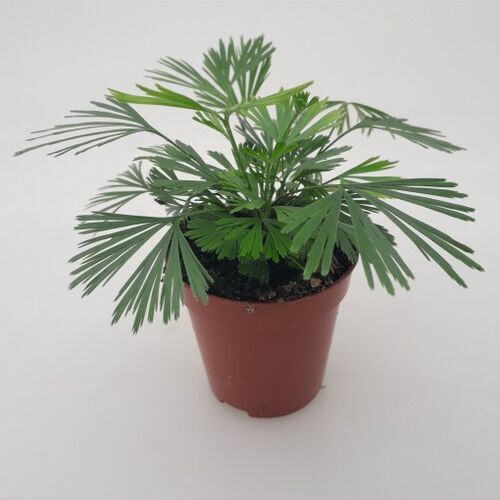 A gorgeous small tropical fern for indoor planting. It likes warmth and shade and will grow to about 10-20cm in height. The compost should be well drained and should not be overwatered, though it is not as tricky as it sounds! Basically a decent compost kept just moist, in shade and kept warm should do the trick. activity, analgesic activity, anti-tubercular activity and used as styptic. Decoction of leaves is also used in tuberculosis. Almost an entire medicine cabinet in one plant! With so folk-cures to its name it is not surprising that the pharmaceutical industry are taking this fern very seriously, especially its antimicrobial properties.